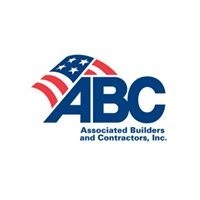 WASHINGTON, April 11 — (RealEstateRama) — Construction input prices rose 1.7% in March on a monthly basis, according to an Associated Builders and Contractors analysis of U.S. Bureau of Labor Statistics data released today. On a year-over-year basis, construction input prices are up 2.5%, and following a stretch of four consecutive months of input price decreases, March was the second straight month prices have risen in the aggregate. Inputs to nonresidential construction also increased 1.7% on a monthly basis and are up 3.2% compared to one year ago. “At the same time, oil prices have been rising in North America due to a number of factors, including some recent weak inventory and efforts by the Organization of the Petroleum Exporting Countries producers to limit supply,” said Basu. “Accordingly, much of the increase in materials prices recorded in March related to crude petroleum. If the past is any indication, oil price increases are unlikely to be sustained, especially as Russia recently announced a decision to raise oil production, a natural response to higher prices and upward movement of profit margins.